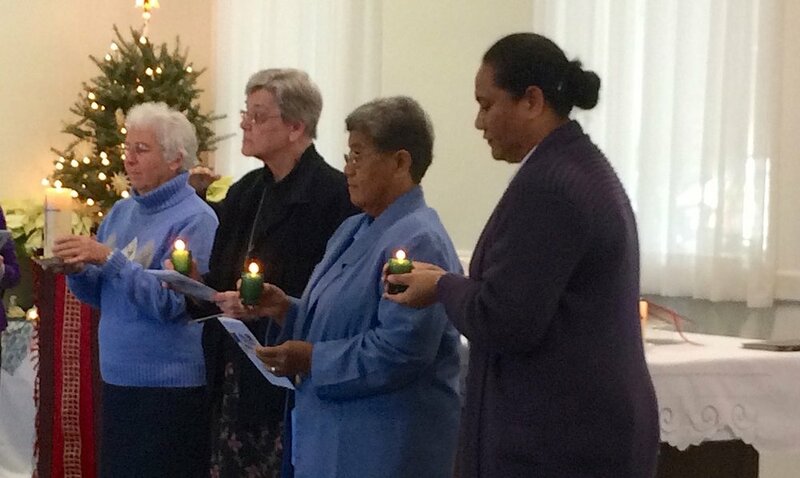 The new Regional Leader, Sister Mary Jane Kenney, with her Council, Sisters Joyce Ann Edelmann, Telesia Kauhalaniua, and Helen Muller. At 11am on New Year’s morning, the Sisters in the Boston area gathered at our Newton Street house in Waltham to celebrate the Eucharist with our incoming and outgoing Regional Leaders and their Councils. Sister Claire Rheaume, who has served as the first Regional Leader for the Region of the Americas, had completed a three year term of office, along with her Council: Sisters Christina MacLean and Helen Muller. 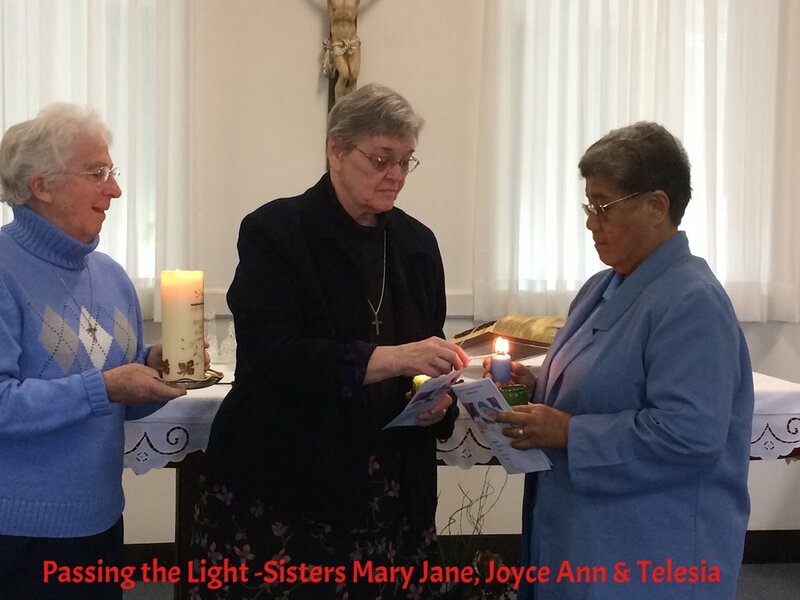 The Sisters expressed their thanks for the devoted service of these Sisters. It had been a challenging time to bring together a Region that consists of the former Provinces of North America and America Latina, but our smaller number required this change, as part of the reconfiguration of the entire congregation. The Region of the Americas consists of about 100 Sisters, from 12 different countries of origin, who serve in Jamaica, Peru, Colombia and the USA. The new Regional Leader, Sister Mary Jane Kenney, served as a nurse in Bougainville in her earlier years, and later did pastoral ministry in Papua New Guinea, and social work in Memphis, Tennessee. She has served the congregation as a novice directress, and in leadership teams at both the Provincial and General level. Her most recent ministry has been at Martha’s Village in the diocese of San Bernardino, CA, which serves the poor, the homeless, and those suffering from addictions. Sister Helen Muller will continue as a Council member for the new team. The new Council members are Sister Joyce Ann Edelman and Sister Telesia Kauhalaniua. The latter will continue to be based in Jamaica. After the Mass there was a special blessing for the new team by all the Sisters. Then, of course, everyone enjoyed a beautiful New Year’s dinner together in this house, so famous for hospitality.